Today's Christmas canapés promise to be a true experience thanks to their contrast of flavours and textures. 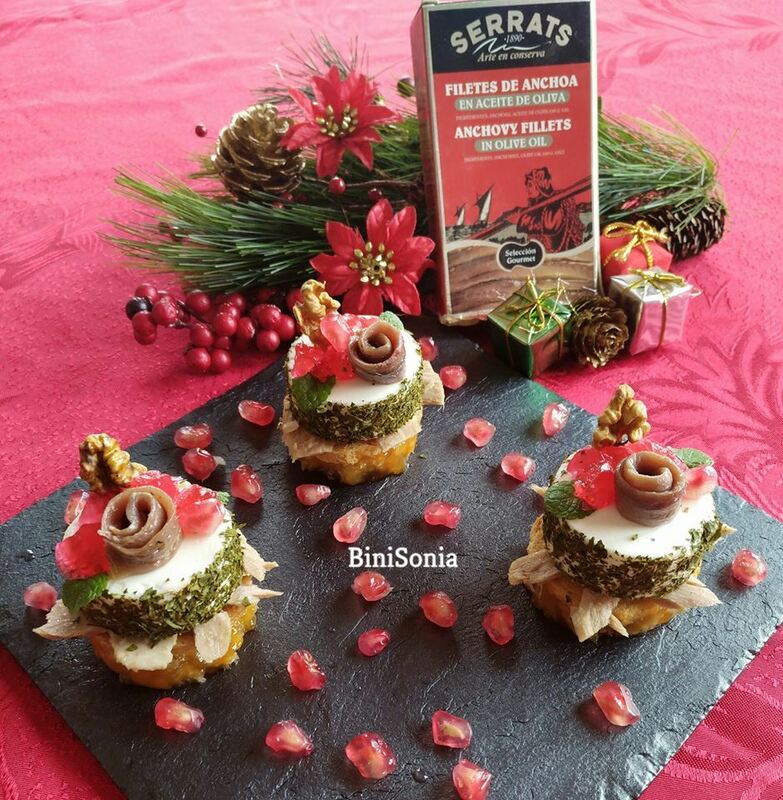 Take note of this recipe by Sonia (Recetas Binisonia) and you’re guaranteed to surprise the whole family. Cut out the sliced bread into circles of the diameter of the goat's cheese roll. Varnish them with peach marmalade. On top, add the thin, round toast, the same size as the previous one. Add some flakes of white tuna in olive oil. Dip the outside of the goat's cheese in the dry ground parsley and cut it into circles and add one to the previous base. Add an anchovy fillet on each slice of cheese. 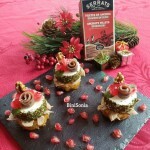 Decorate the canapés with pieces of sugar-preserved cherry, walnut and some fresh basil leaves. Last of all, decorate the plate or tray with pomegranate grains, to give it a touch of Christmas colour. Canapés that subtly contrast sweet and salty. Thanks, Sonia!